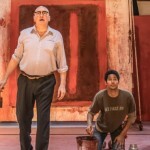 As previously reported by Leaky, Alfred Enoch (Harry Potter‘s Dean Thomas) will star in a new revival production of RED at Wyndham’s Theatre on London’s West End, with preview performances beginning this week! 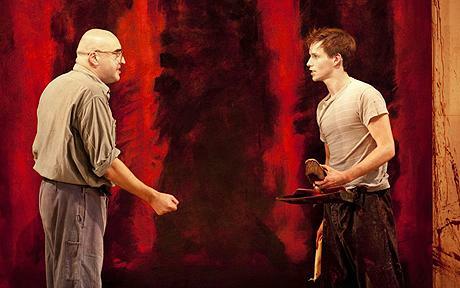 RED is based on the original Olivier-winning 2009 Donmar Warehouse production by John Logan. 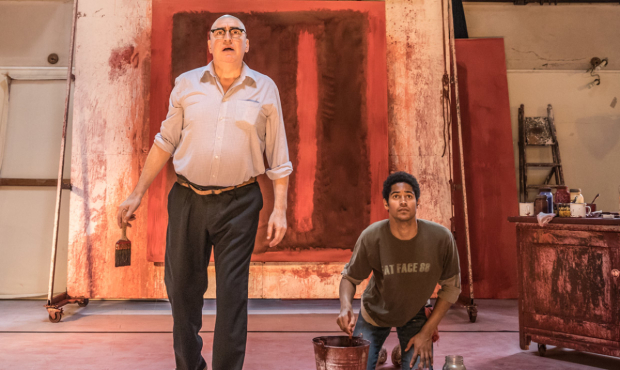 This new production, directed by Michael Grandage, is the first U.K. revival of the award-winning show since Grandage originated the play at the Donmar, earning six Tony Awards (including Best Play!) when it moved to Broadway. 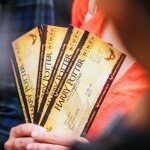 Neil Austin (award-winning lighting director on Harry Potter and the Cursed Child) will also bring back his talents for the production. Interestingly, Fantastic Beasts star Eddie Redmayne first took on the role of Ken opposite Alfred Molina in 2009, so it’ll be interesting for those Harry Potter fans who originally saw the show to see Alfred Enoch assume the mantle of the starring role. Read the full interview with Broadway World here. RED will begin preview performances this week (May 4th), officially open on May 15th and will run until July 28th. Keep posted for a review, coming soon!